SUPERIOR, NE, August 08, 2018 — Marquis Who's Who, the world's premier publisher of biographical profiles, is proud to present Donald E. Wiest with the Albert Nelson Marquis Lifetime Achievement Award. An accomplished listee, Mr. Wiest celebrates many years' experience in his professional network, and has been noted for achievements, leadership qualities, and the credentials and successes he has accrued in his field. As in all Marquis Who's Who biographical volumes, individuals profiled are selected on the basis of current reference value. Factors such as position, noteworthy accomplishments, visibility, and prominence in a field are all taken into account during the selection process. After 44 years of experience in education, Mr. Wiest retired in 2014, having most recently worked as a teacher in physics, mathematics, and science for the South Central Nebraska Unified #5 School District at the Sandy Creek School site from 2010 to 2014. Prior to this appointment, he held the position of mathematics and physics teacher for Clay Center High School in Clay Center, Nebraska from 2006 to 2010; chemistry, physics, astronomy, and mathematics teacher for Mankato High School in Mankato, Kansas from 1998 to 2006; and chemistry, physics, biology, and science teacher for Guide Rock Public School in Guide Rock, Nebraska from 1990 to 1998. Previously, he served Eastern Heights High School in Agra, Kansas as a mathematics and computer teacher from 1986 to 1990; Bruning Public School in Bruning, Nebraska as a mathematics, chemistry, computer, and physics teacher from 1973 to 1986; and Paxton High School in Paxton, Nebraska as a mathematics and physics teacher from 1972 to 1973. Mr. Wiest began his career as a physics, mathematics, and science teacher at Pope John Central Catholic High School in Elgin, Nebraska from 1970 to 1972. Before embarking on his professional path, Mr. Wiest pursued an education degree at the University of Nebraska–Lincoln, earning a Bachelor of Science in Education with majors in physics and mathematics in 1970. He graduated with a Master of Science in secondary education from Kansas State University in 1975, and he was privileged to be inducted into the professional education fraternity Phi Delta Kappa International in 1974. Following these accomplishments, the Nebraska Department of Education issued Mr. Wiest a lifetime Professional Teaching Certificate with endorsements in mathematics and physics. Upon subsequent renewal of the certificate, chemistry and natural science were also added as endorsements. He was a cofounder of the Bruning Education Association in 1977 and served as the association president for several years. Mr. Wiest also served as the president of the Mankato Association of Professional Educators, and the Clay Center Teachers Association. He was a member of the National Education Association from 1977 to 1986 and from 1990 to 2014. He was a delegate for the Kansas National Education Association UniServ District 114 to the National Education Association representative assembly in Washington, DC in 2004. Beyond his responsibilities within the education field, Mr. Wiest has participated in numerous endeavors. He has contributed to the Nebraska Republican Party since 2000, the Republican National Committee as a sustaining member since 2000, the United Service Organization as a sponsoring member since 2008, Judicial Watch since 2016, and the National Republican Senatorial Committee as a member in good standing from 2000 to 2015. Mr. Wiest has found success with public service as well, serving as a volunteer at the Vestey Senior Center in Superior, Nebraska and treasurer for the Nuckolls County Food Pantry since 2015. He also serves as a board member and usher at Living Faith Fellowship Church in Superior. Mr. Wiest remains affiliated with various organizations. 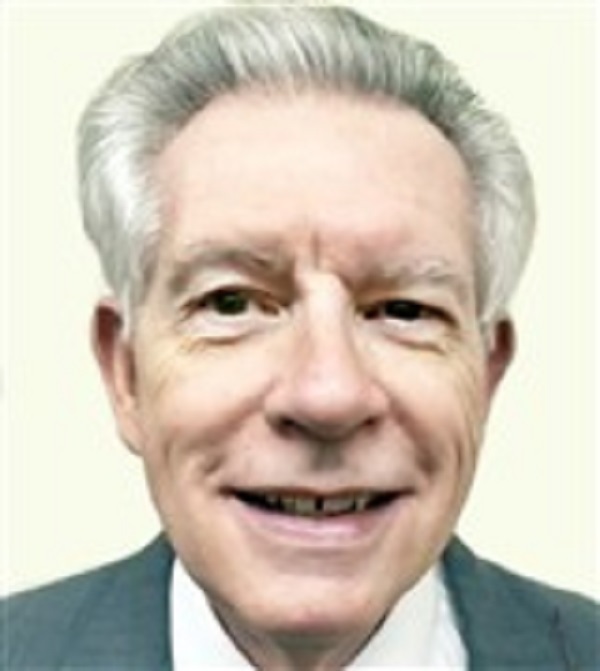 He is a member of the Association of Mature American Citizens, and he is a contributing member to the Presidential Prayer Team, Christians United for Israel, the American Bible Society, the Christian Broadcasting Network, the National Pro-Life Alliance, Nebraska Right to Life, and the Jerusalem Prayer Team International. Mr. Wiest has maintained involvement with the American Center for Law and Justice since 1993. In light of his exceptional undertakings, Mr. Wiest has accrued several accolades and honors throughout his impressive career. He has been presented with Outstanding Service and Assistance Awards from UniServ District 114 of the Kansas National Education Association in 2004 and 2006. He was recognized by the Who's Who Historical Society in the 2003-2004 edition of the International Who's Who of Professional Educators. Mr. Wiest was selected for inclusion in multiple editions of Who's Who in America and Who's Who in American Education. In recognition of outstanding contributions to his profession and the Marquis Who's Who community, Mr. Wiest has been featured on the Albert Nelson Marquis Lifetime Achievement website. Please visit www.ltachievers.com for more information about this honor.